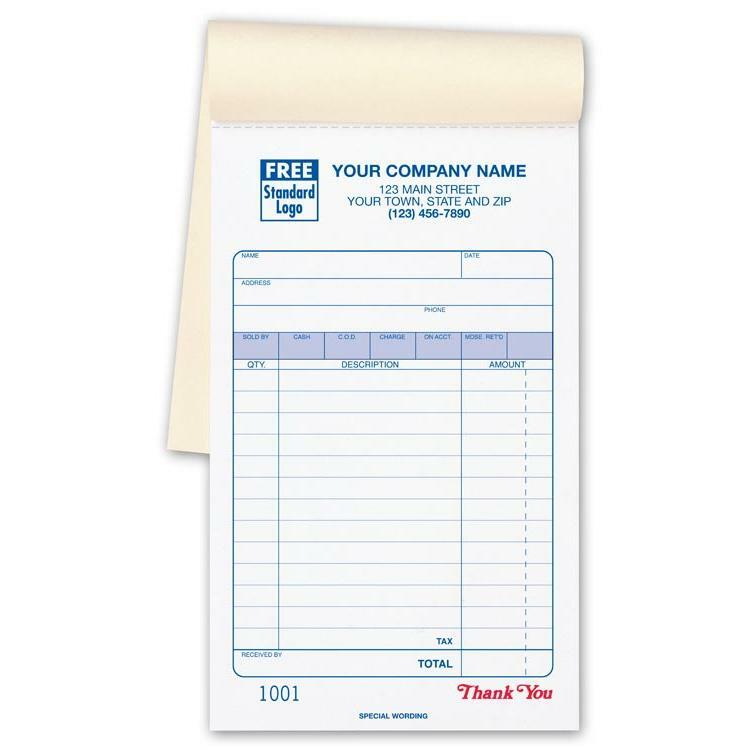 Even if your business specializes in the simplest types of sales, you still want to provide receipts for clients. The date of the sale, the details of the transaction, and even a courteous "Thank You" should be "par for the course". 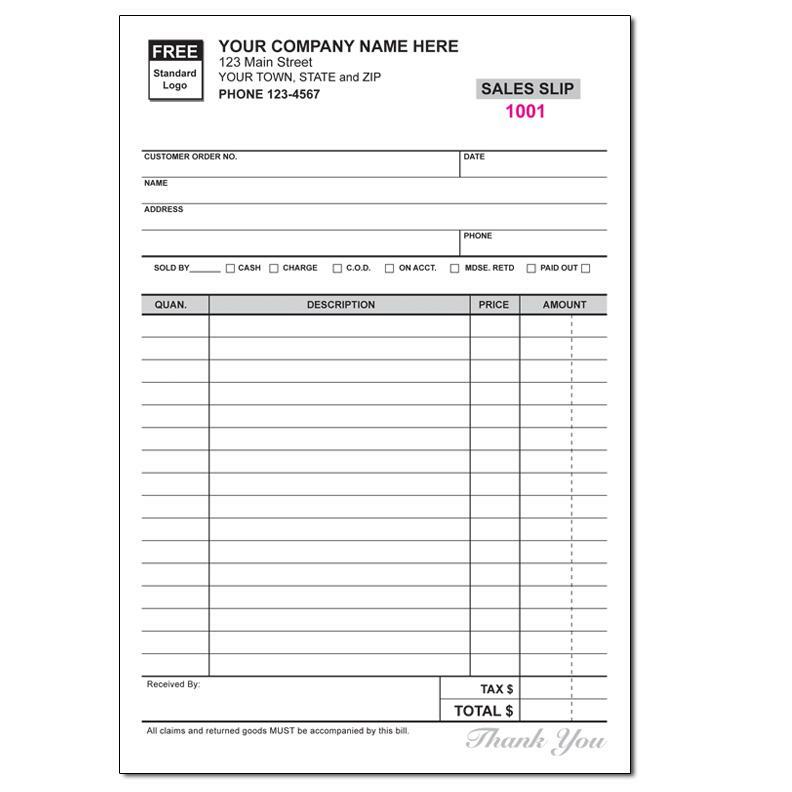 With our custom printed sales slip forms you can hand your buyers such a detailed receipt, and get a bit more. 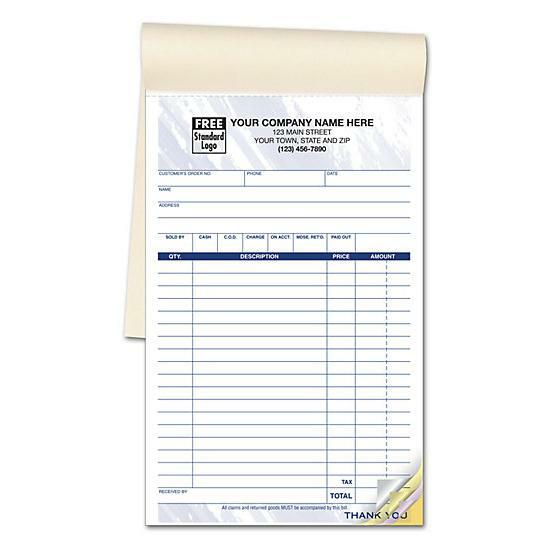 We will imprint the 5.5x8.5 sales receipts with your company's logo and contact information. You can choose to have two to four pages per receipt (thanks to carbonless paper) and make as many copies as you need for bookkeeping. 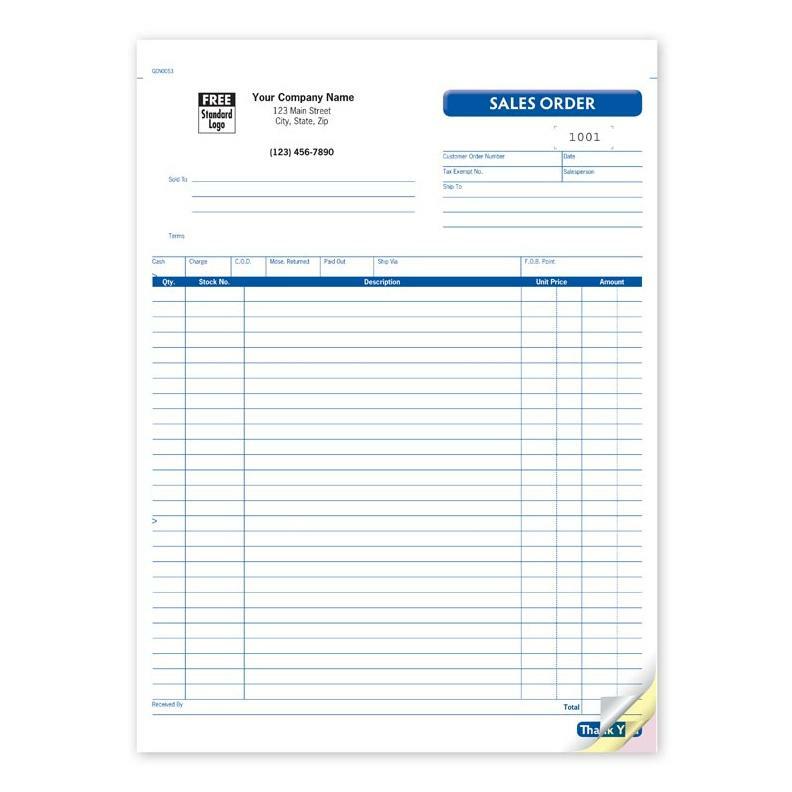 The sales slip forms also itemize the terms by which the sale was made. There are simple check boxes that allow you to indicate everything from cash to paid on account. You then have 16 lines of merchandise to identify and total. Don't jeopardize your business with the use of vague and unprofessional receipts. With our custom printed sales receipts you can easily create a very favorable impression while also protecting your business and reputation. These sales slips forms provide customers with accurate information about their transaction, including return information, but they also help you handle bookkeeping accurately too.